After last week’s non-training, I was well rested but a bit nervous going into this week however was also keen to get back into it. So much so, that I headed out for my first run on Monday, making the most of school holidays and the good bout of weather. I ran along the waterfront and, even though it was a bit hard, it was an enjoyable run and I was really pleased to be back on track. Having already run, I didn’t need to do a Tuesday run but headed to the first night of ‘Run Club’ instead which was actually more enjoyable than I thought, particularly because my friends were there. I’ve been thinking I should do some strength work for a while so this was a chance to try that out. I feel like the soreness I had over the next few days was a sign that those were muscles I clearly needed to work on! Thursday’s run was with a friend out at the You Yangs – another gorgeous day and a perfect run, not measured in speed but in smiles. We did our favourite 5km circuit up the Saddleback and even managed to spot some goats up on the hills. Perfect. 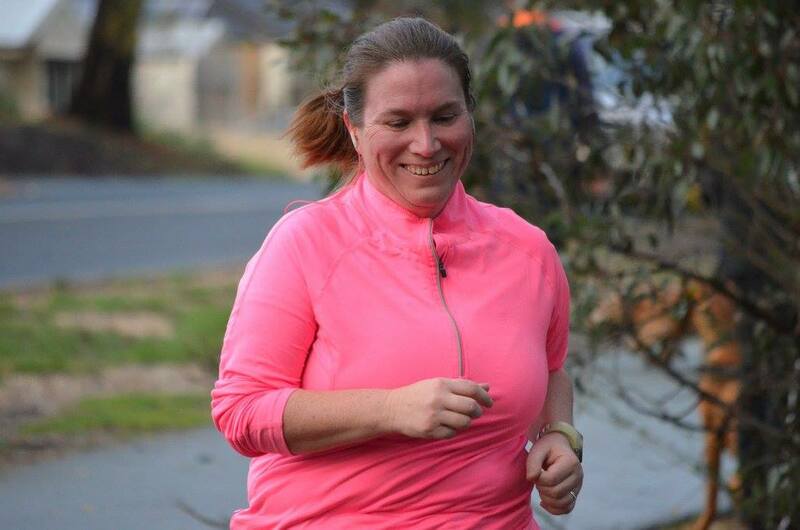 Saturday was parkrun plus and hubby and I travelled to visit family in Bendigo, playing parkrun tourists at the same time. I took it easy but still managed to beat my previous time on the course by a couple of minutes. Bendigo parkrun is a pretty 2 lap-ish course around Kennington Reservoir with a couple of unexpected inclines to keep it interesting. We then set off for another 4km walk around the neighbourhood to make up the distance. Today’s long run had been playing on my mind all week – my longest run to date at 24km. I was happy to not be doing it around home as I needed somewhere unfamiliar so I’d found a rail trail starting in Bendigo. Flat, appropriately long and completely unknown territory for me. Husband dropped me off at Lake Weeroona this morning and it was time to begin. The O’Keefe rail trail runs from Bendigo to Heathcote however I would be running as far as Axedale today. Once I’d left Lake Weeroona and headed north, it was very easy to find the turn off and the signage after that was perfect – no chance of getting lost. The entry to the trail is quite quirky – you run under the brick railway bridge before emerging onto the trail which is bordered by industrial parts of town. Before long, you’re heading out into farmland and then on to a nature reserve. The trail was gravel so nice and soft on the soles of my feet. I had expected to see quite a few people out enjoying the trail as it was a gorgeous day but there were only a few cyclists and walkers. As usual, it was a constant mental struggle on this one. It’s very hard to distract yourself early on from the length of time you’ll be out there and, as much as I tried, the total distance kept haunting me. In fact, my mind gave in to tiredness long before my body did and I walked a fair bit from 15km, albeit a very fast walk. ‘As long as I keep ahead of the balloon ladies’ was my mantra and I certainly did that. I had no bodily aches and pains and my nutrition and hydration were spot on. My only real problem today was a blister under one of my toes which started for no apparent reason at about halfway. Another week done and I’m really pleased to have this long run behind me – it certainly loomed as an obstacle to get over. The next long run will be mostly covered by Melbourne half marathon in 2 weeks time so isn’t as daunting, despite requiring 27km. And, while the thought of running a marathon still feels impossible at the moment, I’m pleased to note that I’ve covered 2 of the event distances this weekend, back to back so at least the early part of the challenge is looking doable. Shall just have to trust the training will get me through the rest of it.